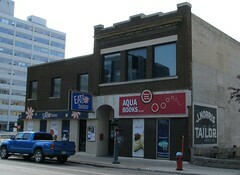 I came across John A. Norris while researching the history of the Norris Block (Aqua Books) at 474 Garry Street for my Winnipeg Downtown Places blog. 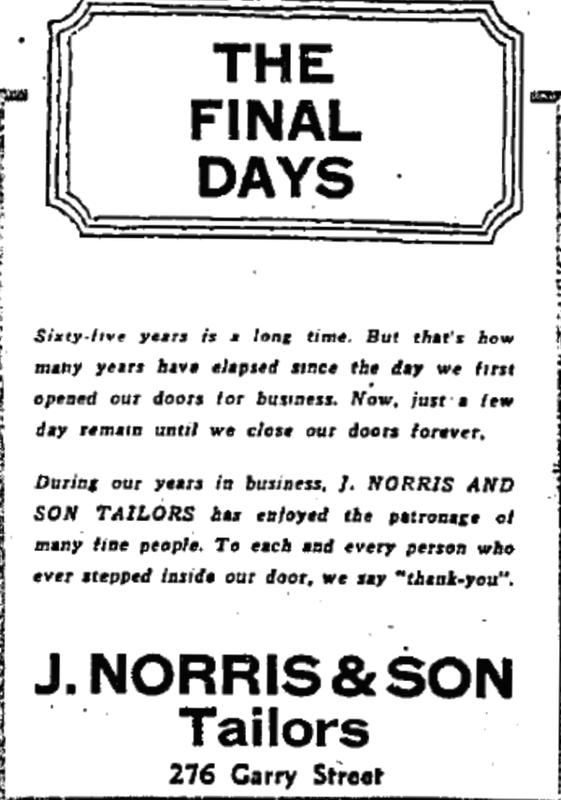 John Alexander Norris was the son of John Norris, the original proprietor of J Norris and Company, Merchant Tailors. He was tailor and a soldier with an incredible and tragic story that has long been forgotten. Norris grew up at 291 Balmoral Street (where Colony Square now sits). 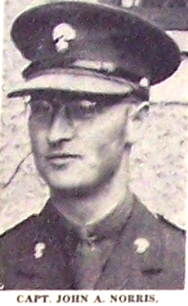 In 1923 he joined the militia of the Winnipeg Grenadiers reaching the rank of Major. In 1932 John went to work for his father at his Garry Street tailor shop and married Cleo Mabel Clark. In a couple of years the couple had a son, John Cameron Norris. In 1939 the Grenadiers were sent off to the British West Indies, some went to Bermuda and others, including Norris, to Jamaica. 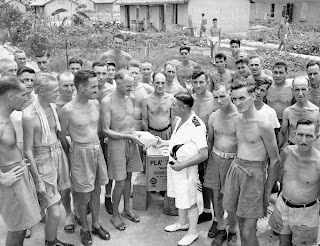 They acted as guards at British POW camps, inspected commercial ships traveling though the area and performed other garrison duties. 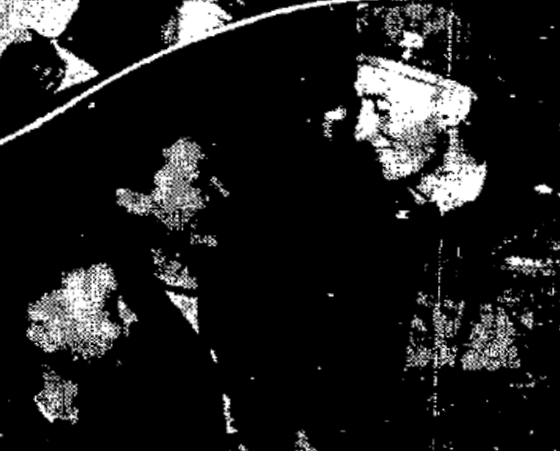 Cleo and John Jr. went along for an extended stay while Norris was stationed there. In late 1941 nearly 2,000 soldiers made up of Norris' Grenadiers and the Quebec City-based Royal Rifles, were sent to Hong Kong to perform garrison duties at the Commonwealth colony. While there, the Japanese invaded and on December 8, 1941 Canada unwittingly found itself involved in its first battle World War II. The Battle of Hong Kong did not last long. The soldiers were young, inexperienced and were expecting primarily defensive duties, not all-out war. On Christmas Day the Canadians surrendered to the Japanese after 290 soldiers were killed and another 493 wounded. 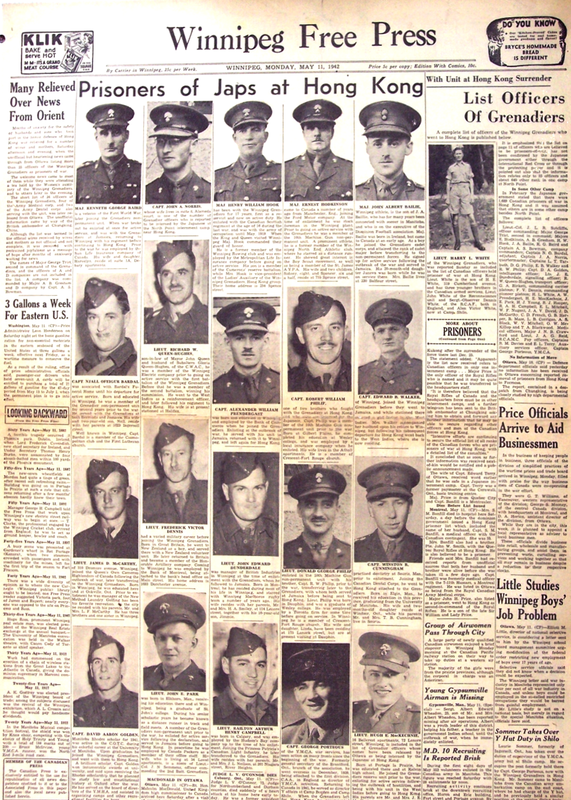 Hundreds more were taken as POWs, Norris among them. After the fall of Hong Kong, Cleo didn't know whether her husband was alive or not. She and John Jr. moved in with her parents at 168 Arlington Street and busied herself as the head of the Women's Auxiliary for the Grenadiers. The group fund raised to send cigarettes and other comfort items to the imprisoned soldiers. They also supported families by hosting Christmas parties and other special events. It wasn't until July 1943 - seven months after the defeat - that she received word from an escapee of the same POW camp that her husband was indeed alive. She wouldn't receive a letter from him until August 1944. Norris may have been alive but he was not well. The POW camps were a place of starvation, disease and abuse. John, now a Captain and the quartermaster of the captured Grenadiers, was singled out for abuse and torture. 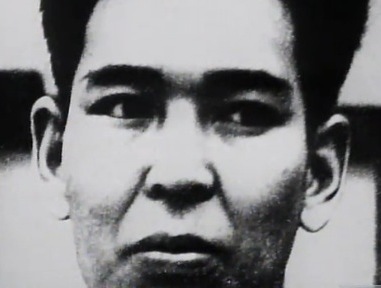 One of his tormentors was a Japanese camp interpreter named Kanao Inouye. Nicknamed The Kamloops Kid, Inouye was actually born in Canada to a Japanese-Canadian father who was a decorated Canadian World War I soldier. Inouye said he went to fight for Japan to 'get back' at caucasians, particularly Canadians, for the ridicule and racism he faced growing up (source). And as soon as this stranger had left, the Kamloops Kid turned on, on, on Captain Norris out in the middle of the parade square, and he beat him so savagely that finally, finally Norris dropped unconscious. And, and, and men come out to carry Norris into, into a hut and, and the Kamloops Kid wouldn't let, wouldn't let them touch Norris. But Norris lived to come back, but he'd been struck so often in the head that, that he was never right, he was never right, he was never, got back to being normal, he never got back to being normal. In the end, almost as many Canadians died in the camps as did in battle. Inouye was found guilty by both a British war crimes tribunal then a Hong Kong civilian court of atrocities, including the death of at least 3 to 8 Canadian soldiers. He was hanged on August 26, 1947. 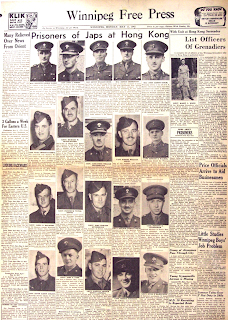 In September 1945 the POW camps were liberated and Ottawa soon began sending telegraphs to families letting them know the status of their loved ones. As part of her duties with the Women's Auxiliary, Mrs. Norris spent days assisting the CP Telegraph office delivering notices to families around the city. One Friday, it was her turn. John was alive and coming home ! The Norris family at train station. Over the course of weeks, hundreds of Grenadiers arrived back to Manitoba. Cleo and John Jr. couldn't wait for John to return to Winnipeg. They drove out to Portage la Prairie to meet his train. 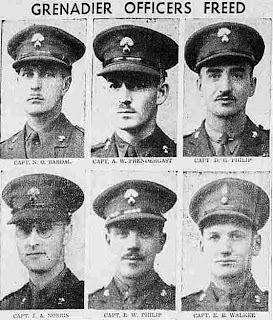 On October 19, 1945 Canadian National # 1915 arrived in Winnipeg at 11:10 pm with dozens of Grenadiers aborad, a reunited Norris family among them. Norris' time in a prison camp left him a broken man. He suffered the effects of prolonged malnutrition, partial paralysis and other injuries. Upon his return he spent months recovering in hospital. The following year, Norris began getting his life back on track. The family moved from 168 Arlington (Cleo's parents home) to Unit 9 Oakland Apartments at 911 Westminster. He went back to work at John Norris and Company. In 1947 he rejoined the militia of the Grenadiers and was instrumental in forming the Hong Kong Veterans Association. At a founding meeting in the former club Morocco Building at Portage and Langside he was elected the organization's first president. 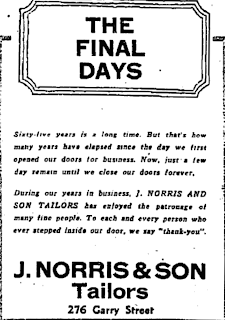 Norris' health problems continued and on November 8, 1949, while at work in the tailor shop, he finally succumbed to his injuries. Captain John Alexander Norris was 44 years old and is buried in Elwood Cemetery. 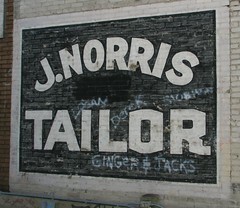 Cleo Norris took over the tailor shop, (the original John Norris was also dead), renaming it John Norris and Son in 1948. She continued her work with the Grenadiers and was president of the Ladies Auxiliary into the 1950s. The shop closed in 1965. Cleo died in 1976. As of 2005 John Cameron Norris was still alive and living in Sacramento, California. 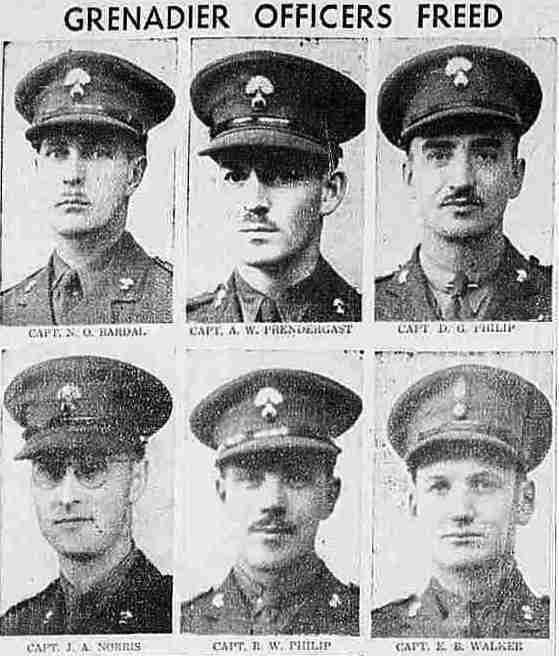 VAC has captured a number of first-hand accounts of Canadian POWs and the abuse of Captain Norris is recalled by Thomas Forstyh and Harry White. Padre Laite's war diary chronicles the Grenadiers' time in the camp. Norris is mentioned throughout. The NFB film Savage Christmas: Hong Kong 1941 (90 min) is part of the Valour and the Horror series and chronicles the Battle of Hong Kong.The full version is available here. The government of Japan apologizes to former Canadian POWs. See Globe and Mail story and Veterans' Affairs Canada news release. The Winnipeg Free Press runs a story based upon this blog post. My name is Robert Engen, and I'm an historian at the Royal Military College who is doing some research on the battle of Hong Kong. I have a question concerning Captain John Norris. Is there an email I can reach you at to discuss him a little further? Ah, never mind, poking around on the blog has revealed it. I'll email you directly.